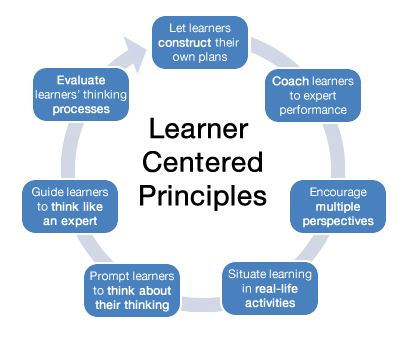 Addressing the Challenges of Implementing Learner Centered Pedagogy: A Focus on Learner Centered Assessment - "Mwangaza"
In several previous articles, I discussed a bit about the learner centered teaching and learning. An important approach which places students at the center of their own learning. With the learner centered approach, students are provided with opportunities to develop 21 first needed skills of creativity, critical thinking, research, innovation, communication and collaboration. The shift from teacher centered to learner centered s in Tanzania was first incepted in 2005 in primary schools, secondary schools and in teacher education. However, various empirical evidences from Tanzania have revealed numerous challenges pertaining its implementation. Few to mention has been lack of enough teaching and learning facilities, inadequate knowledge and understanding of the tenets of learner centered pedagogy including effective implementation of learner centered assessment. Educational assessment and evaluation is one of the areas of my focus. Lack of enough knowledge in learner centered assessment (LCA) is mentioned as among the dragging challenges towards effective implementation of learner centered pedagogy. Thus, as part of my contribution in dealing with this challenge, later in this blog I will be discussing issues related to LCA. Learner centered assessment has sparked my attention for a very long time since the inception of learner centered pedagogy (LCP) in Tanzania. I have been using my ample time to learn about LCP and Competency Based Education (CBE). During my Master of Education degree, I conducted an evaluation study to assess the implementation of learner centered assessment in Chemistry subject. Similar findings as those reported by previous researchers were observed. Chemistry teachers reported to have perceived inadequate knowledge and understanding of implementation of some assessment methods suggested in the Ordinary Level Curriculum. Some of the assessment methods were even not known to teachers and less frequently or not used at all. While the attention is mainly on teachers in our schools, it is also very important to have answers to questions like are student teachers introduced with the learner centered teaching approaches and assessment during their preparation towards teaching profession? Some more answers to questions like University lecturers and college tutors conception of learner centered pedagogy and assessment and whether learning in Universities and teacher colleges is informed by learner centered and assessment approaches should also be documented. All these concerns should be well addressed in the course of ensuring learner centered pedagogy including assessment is effectively implemented in schools. In the coming articles, I look forward to exploring various issues in educational assessment and evaluation. due to the fact that teaching and learning is now informed by LCP approach, focus will mainly be on the effective implementation of Learner centered assessment, sometimes referred as competency based assessment.